With its 20 million US subs Hulu is a successful joint venture in the OTT space but also pouring cash with a 920M$ loss in 2017 with no signs of improvement in 2018! Disney through the Fox acquisition will hold a 60% stake in Hulu. 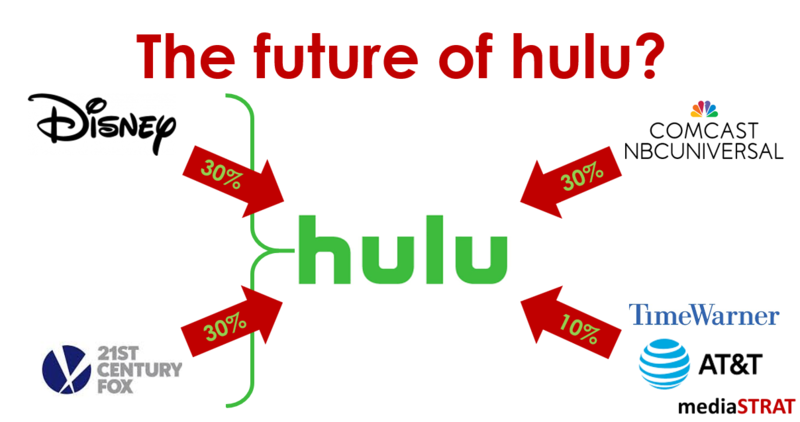 They might be tempted to try to morph Hulu into their own service that will launch 2019 after the end of the Netflix distribution agreement or go with a multi distribution strategy and look how to articulate their value proposition across the two platforms or simply cut their losses and exit the joint venture. One thing for sure, after months of a virulent fight for the Fox acquisition Hulu’S next board meeting with Comcast NBC-U and its 30% stake promises heated discussions. ATT with its 10% Hulu stake resulting from the Time Warner acquisition completed just 2 weeks ago might also be tempted to streamline its entertainment assets now comprising Hulu, HBO NOW, DirectTV NOW and U Verse. The data of the subscribers is a prime asset and will be an important decision-making factor for the current stakeholders. This could appeal to new entrants willing to overtake a significant stake of the venture thanks to deep pockets and an appetite for scale. next post: Why Fox spends 29B$ on Sky and Netflix 12B$ on content?